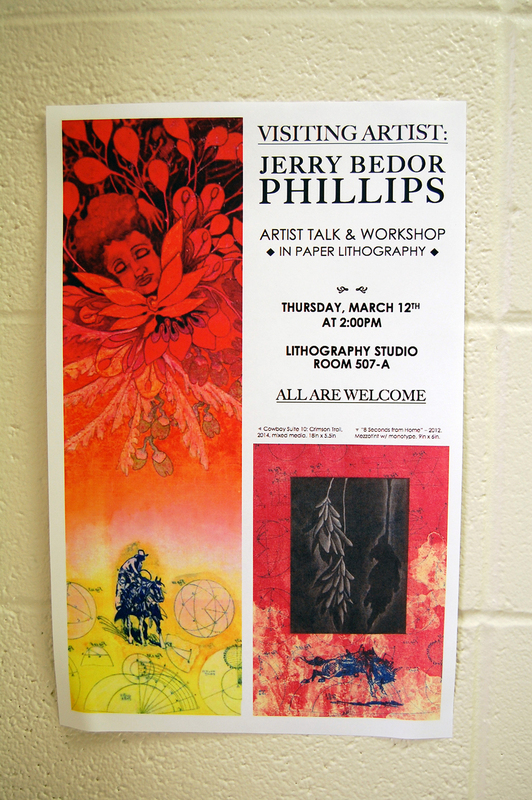 On Thursday, March 12 Nashville artist Jerry Phillips visited WVU. 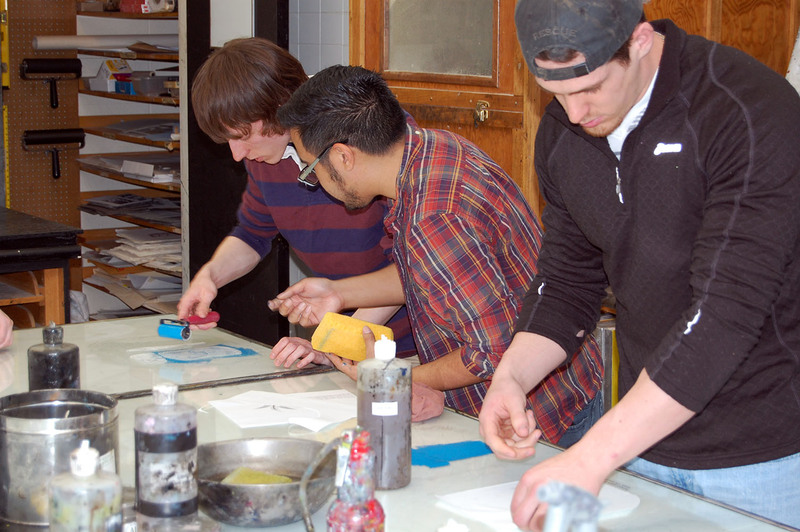 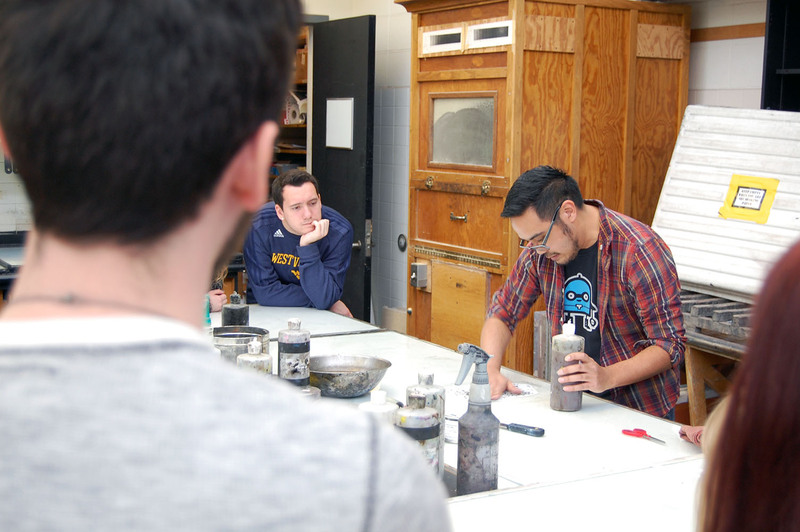 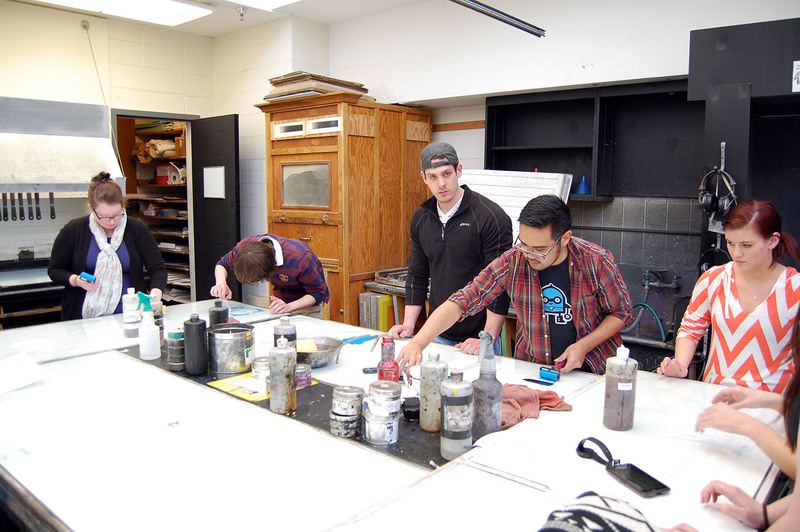 Current MFA printmaking student Jacob Guzan organized the visit. 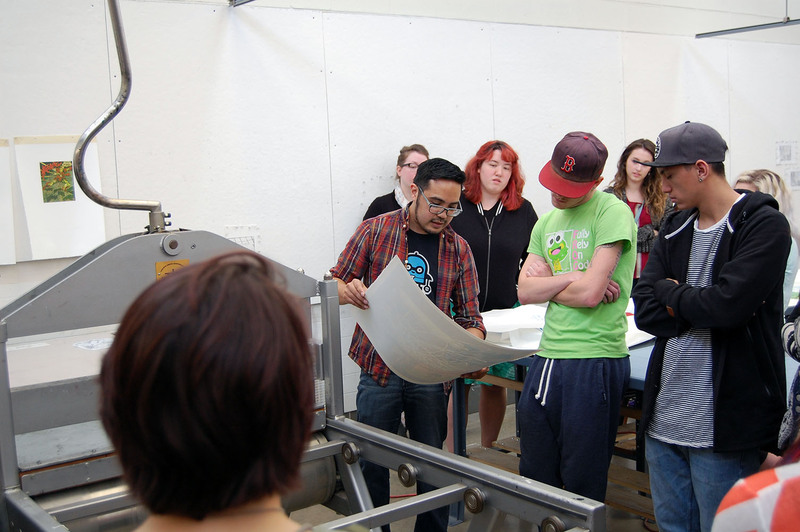 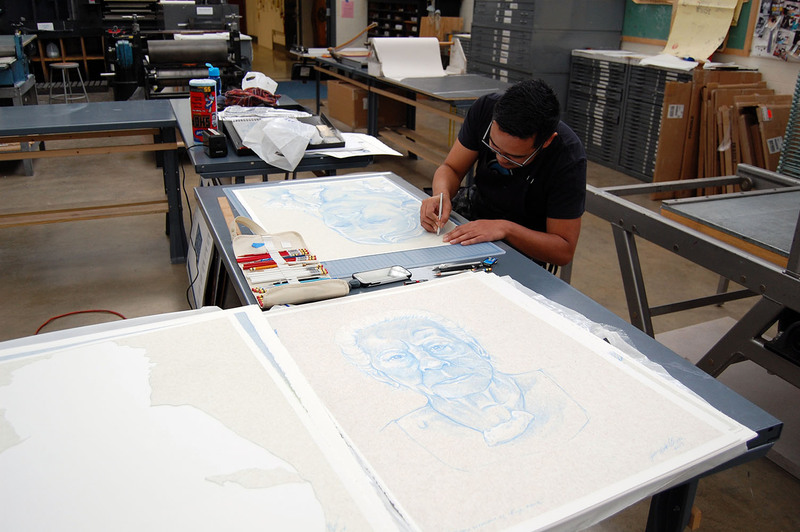 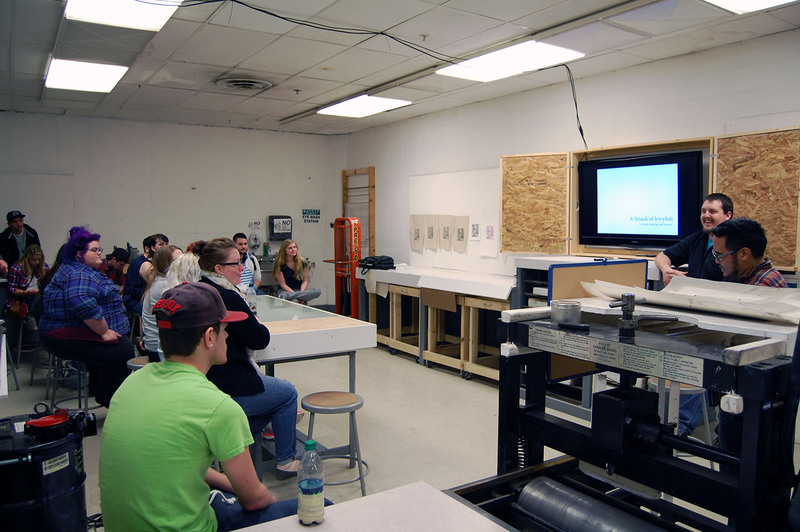 Jerry gave a really compelling talk and worked with students during a paper litho demo. 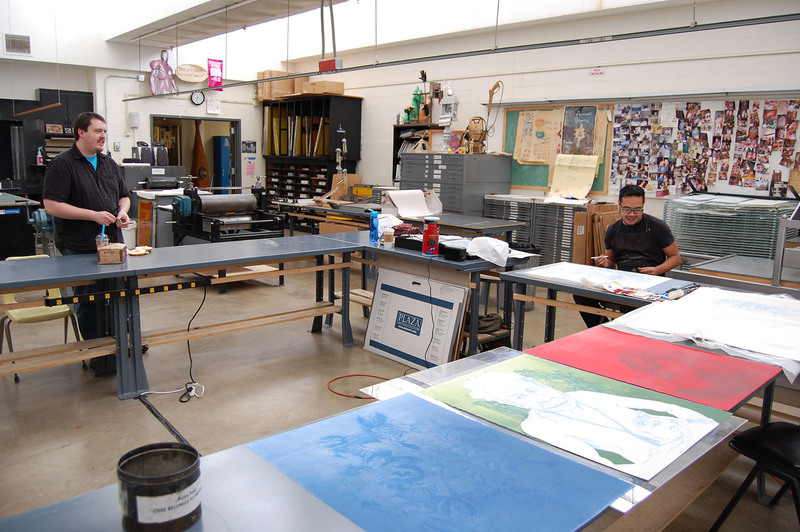 Jerry stayed for an extra day or two to complete the piece made during the workshop. 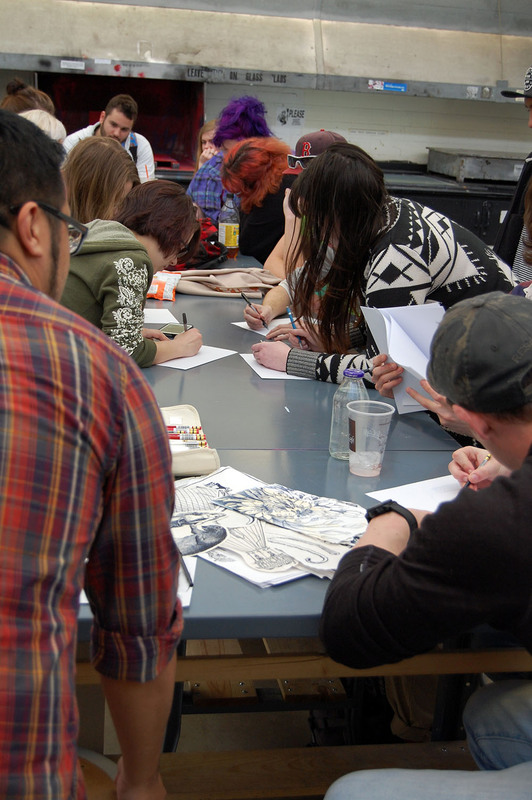 The whole event was a total success, and Jerry was an absolute blast to be around. 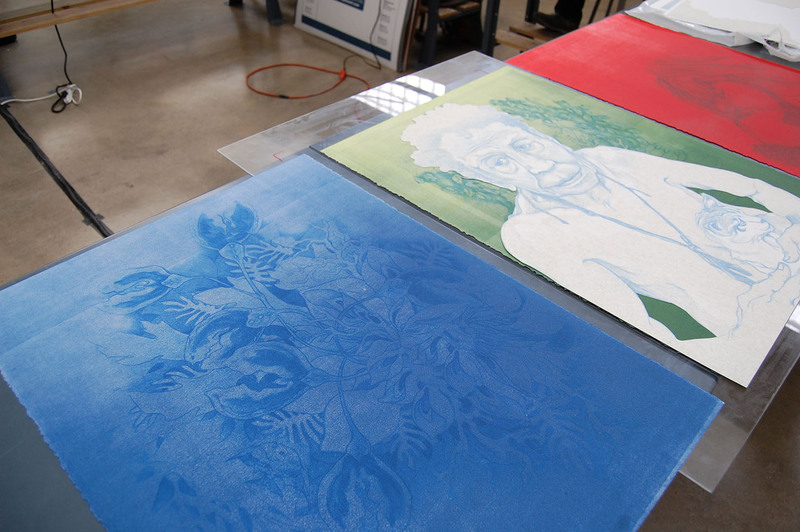 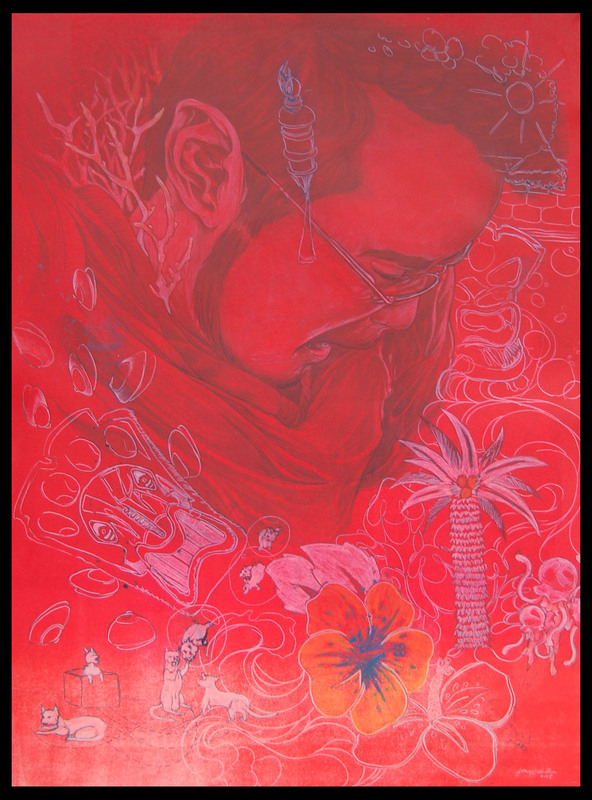 Jerry’s work, a hybrid of monotype, digital print, and drawing…really great stuff! 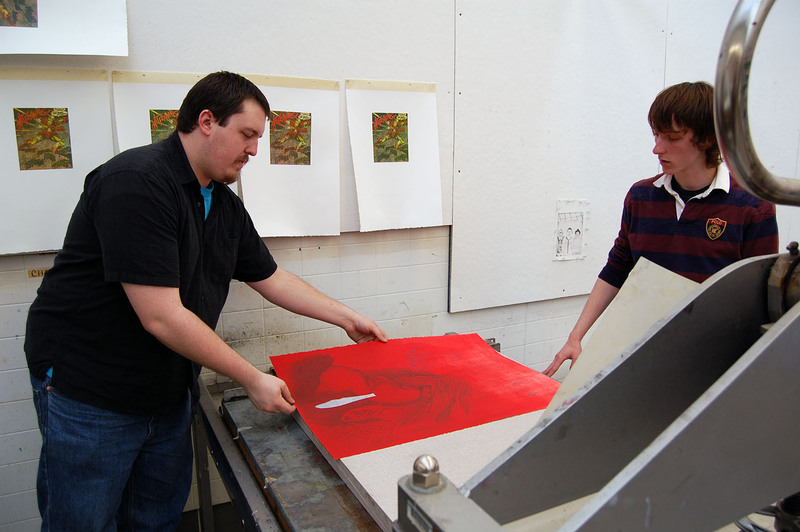 The final print made with our students…nice work Jerry!